IMG Academy creates the ideal atmosphere for student-athletes who have a focus both on soccer and academic rigor and offers an individualized track to ensure that perfect fit upon graduation. 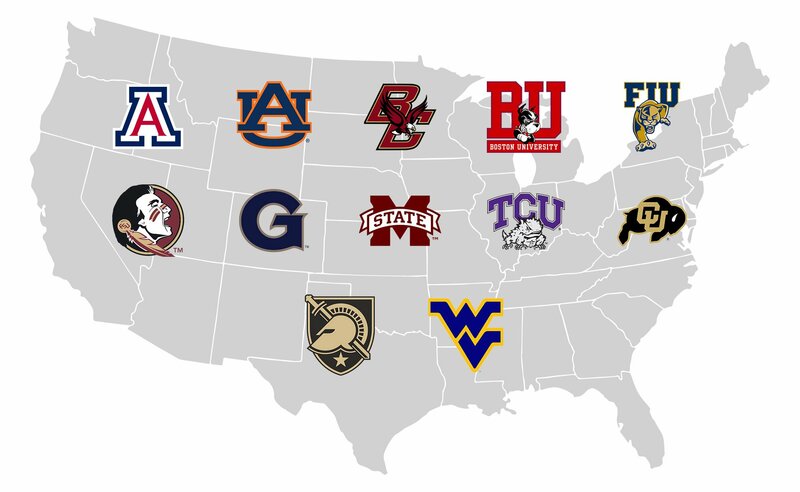 The girls soccer academy is a direct pipeline to some of the nation’s top universities. Position-specific instruction and game-time strategy on the field matched with unprecedented total athletic development in vision training, speed, mental toughness, strength training, and nutrition forms a balanced athlete working towards accelerated growth both on the field and as individuals. Academics remain a key focus for the entire girls soccer academy, with importance placed on both advancement on the field and in the classroom. Coaches communicate with each player to ensure that goals and aspirations are met and aligned for ultimate success. Through on-site training nurtured by a college-preparatory environment, IMG Academy student-athletes prepare themselves for continued success through college. The girls soccer academy schedules include team travel and balancing of workloads along with competition through tournaments and college showcases and tours. Quarterly coaching evaluations both verbal and written ensure that both players, families and staff have the most effective communication possible. Inclusive of the complete package for any driven student-athlete, IMG Academy’s girls soccer program philosophy puts each individual’s needs as the highest priority. Training the majority of the calendar year generates personal success stories and student-athletes who flourish through an individualized training structure. Performance training improves strength, agility, nutrition, confidence, mental toughness and vision while on-field coaches of the highest experience levels work towards technical skill and tactical elements of the sport. A key element of the girls soccer program remains on building character, offering support, and empowering each student-athlete to thrive among this atmosphere on campus. In this club-like setting, coaches maximize soccer training throughout the week to work towards ultimate development. Participation among both U.S. Development Academy teams and National Elite Teams yields a club-like setting unrivaled among any other high school institution. Teams range from U15 through U19 to post-graduate/PDL, and tournament schedules include both local and international-based competition. The first week of season includes trials and a starting point for players to compete. Players have the ability to transition to other teams when given the opportunity and for further development. DA players must be cleared through the International Transfer Certificate (ITC) process and Fédération Internationale de Football Association (FIFA) in order to be able to compete. Because the girls soccer academy strives to develop both women of character and qualified student-athletes, the focus outside of the field remains on ensuring training equally reflects this mindset. Courses such as vision and reaction, mental toughness, and leadership training take the mindset away from practice and create a core around building confidence. Empowering Female Athletes is another class that captures topics like facing challenges in society and other distractions like social media. Coaches and staff understand that utilizing the resources inside the Performance and Sports Science Center generates the most prepared student-athletes for the next level of soccer. The TimTam Recovery Center features products that were designed by leading doctors, physios, and coaches. TimTam is the official recovery sponsor of IMG Academy, and girls soccer student-athletes utilize these advanced recovery tools to take their game to the next level.